“They’ve got cars big as bars, they’ve got rivers of gold, but the wind goes right through you, it’s no place for the old”-well Timmsy’s Landrover was bigger than anything local, The Trent was a muddy shade of brown and the weather was unseasonably mild as Barford’s ageing recce party descended on the festive lights of Newark. 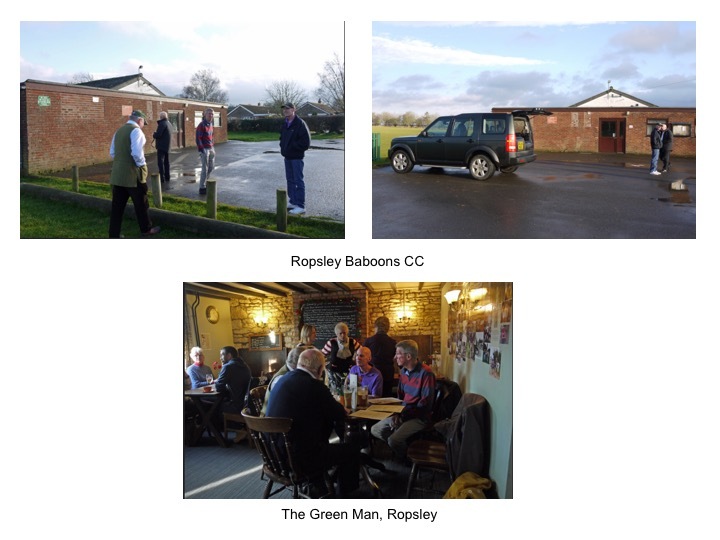 Prior to arriving at our 2017 base we stopped off at the picturesque village of Ropsley, just outside Grantham. The ground is large and open, currently housing two football pitches (it is December after all) and is a five minute walk (just ask Sandy) from the excellent Green Man, where the “Baboons” are based. We enjoyed good food and beer despite the pub being invaded by Peirson clones due to the local shooting club’s midweek meeting. Balderton, on the outskirts of Newark was our next port of call to check out our Friday night venue. Our hosts play a significantly higher standard than us, a fact confirmed by the affable groundsman who was describing the quality of their Sri Lankan and South African overseas players-let’s hope they believe we’re as bad as I have told them and select accordingly. 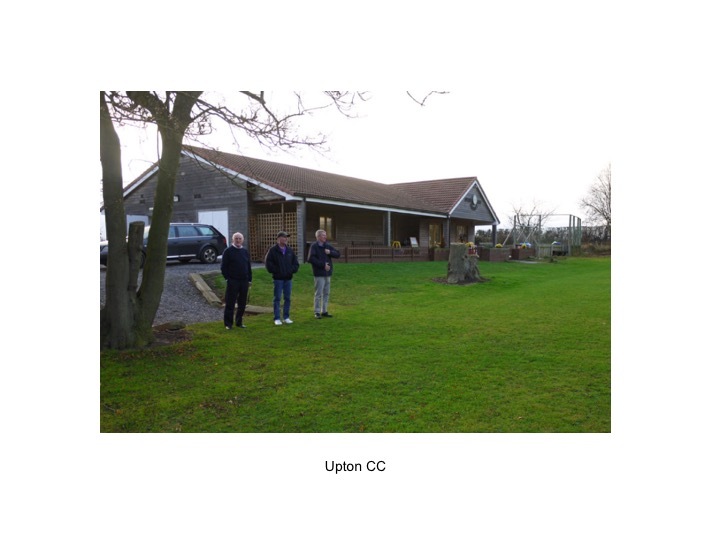 The final ground to explore was Upton who host us on Sunday afternoon. 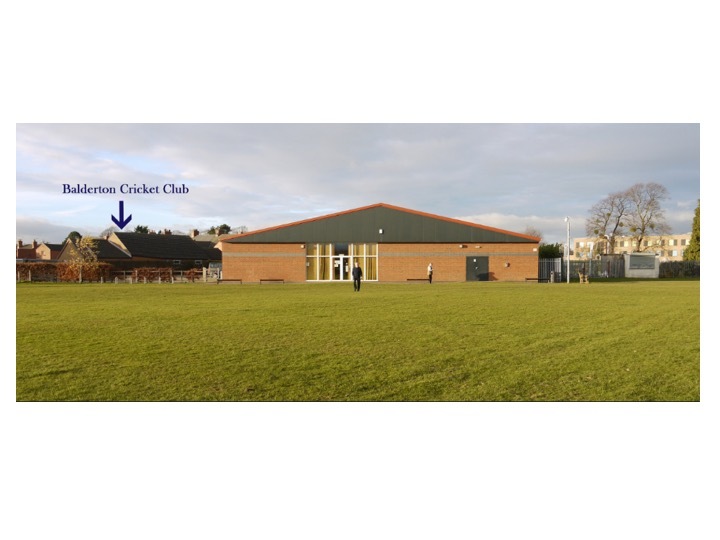 This is an attractive small ground with a pavilion that is also used as a pre-school venue. The fact that a bunch of old men with cameras were hanging around outside a building full of children did prompt some concern from the teacher (quite rightly!) and once we had assured her that we were no threat we headed into the village to check out the pub. The Cross Keys looked like it would have been very nice but we were told they’d stopped serving as soon as we entered-it was 3.00pm (or they’d had a phone call that a car full of paedos was on the way) so we made our way to Newark. The Millgate House Hotel will certainly cater for all the needs of a Barford tour. Clean, centrally located with friendly staff, and the same price that we’ve been paying at other venues! The only black mark was no real ale in the bar but as we were about to discover, this is not a problem in Newark. The town centre has the unique boast of housing ten pubs within one square mile. Just Beer is an archetypal micropub, one room offering six ales with no sign of a TV screen, pool table or Carling pump. Upon deciding that the delicious 6% IPA I was quaffing wasn’t suitable for a session we headed across the street to the Flying Circus, and were confronted with an even bigger range of ales and craft beers. Resisting the temptation to sample more we moved on to the Prince Rupert, and were met with another six traditional beers on tap. Assuming that the bubble had to burst soon we arrived at the Fox and Crown-six real ales! Solids were now becoming a necessity so we tried The Ram (too busy), The Water’s Edge (too crap) and an Italian restaurant that said they couldn’t take us before settling on a Greek steakhouse that did the trick. On the way back to the hotel we did spot some burly bouncers outside a place called The Atrium which looks as if it would interest Mr Drage and the midlife crisis brigade, but those interested in traditional pubs will find this place to be a gold mine. Newark’s Christmas illuminations also put Warwick to shame but I guess this won’t be an issue in July. 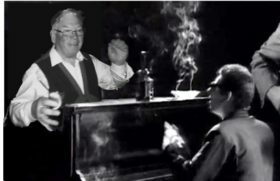 Thanks to everyone involved for maintaining the high standards of touring due diligence that have been so painstaking established over the years! More photos are available here.